Dancers: Want to Graduate College Early? Read This First. Who among us hasn't daydreamed about finishing college a semester or two ahead of the class? But as tempting as it may be to get started on your dance career ASAP, this isn't a decision to take lightly. So DS had a dance department chair and an alumna who finished ahead of schedule lay out the case for—and against—graduating early. You're eager to dive into the dance world. "Students do better graduating early if they're driven, well-organized, have immediate professional goals, and are ready in terms of skill and aptitude to begin dancing professionally," says Garfield Lemonius, associate artistic director, professor, and chair of dance at Point Park University in Pittsburgh, PA. And, hey—if you've snagged an irresistible job offer and fulfilled all graduation requirements, why not? Your financial situation would really benefit. Sheila Zeng graduated from Ohio State University a semester ahead in large part because, being out-of-state, she and her family were paying a steeper price for tuition. "Looking at it from a financial standpoint, it just didn't make sense for me to not jump into finding a job as soon as I could," she says. If you're facing considerable postgrad debt and are on track to finish early, have an honest conversation with your parents or guardian about your financial picture. You feel you've gotten everything you can out of college. 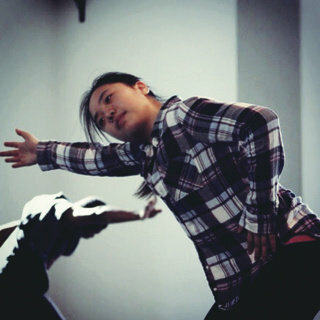 Zeng started at OSU as a double major in dance and psychology. By the middle of junior year, though, "I was getting burnt out, so I decided to drop my psychology major," she says. "Then I looked over the checklist and saw I could finish by end of fall semester." Zeng was further swayed by clarity in her postgrad plans. "A full year away from undergrad let me figure out exactly what I wanted to research for my MFA," she says. "If you've received all you can from your program and took all the classes you wanted to, graduate early." There are opportunities you don't want to miss out on. If the thought of skipping senior spring gives you serious FOMO, don't ignore it. As Zeng says, "I kept in contact with my cohort during the rest of their senior year, but they were busy having their fun college life while I was trying to learn how to 'adult.' " Losing out on a semester or two might also mean losing out on study abroad (as Zeng did), internships, or other academic experiences. "At Point Park, we put on six main-stage productions and bring in 10 to 12 guest artists a year," Lemonius says. "That's a wealth of learning you won't have if you leave early." You haven't done your due diligence. While you don't have to go into freshman year already planning to finish early, it pays to be proactive early on. First step? The more college or AP credits you enter with, the better. Once you're on campus, "the number-one mistake dancers make is not meeting with their advisor well ahead of declaring they'll graduate early," says Lemonius. "It's not an arbitrary decision: You don't want to realize you're missing a course or two when it comes time to apply for graduation." You just don't feel ready. Just because you can grab that diploma early doesn't always mean you should. "Some dancers need the full four years to refine their skills and artistry," Lemonius says. "Others need to mature in terms of interpersonal skills, citizenship as young people, and understanding of themselves." If you're young for your grade, struggled with adjusting to college, or dread entering "the real world," know that there's no real need to rush through your undergrad dance career if you don't want to. A version of this story appeared in the February 2019 issue of Dance Spirit with the title "College Corner: Should I Stay or Should I Go?"